Beatrice Angela Crofts was the youngest daughter of John David McBride Crofts (b. 1828 Cambridge d. 1907 Sussex) and Jane Britton Dowell (b. 1829 Gloucester d. 1900 Sussex) (m. 1858 London). Beatrice married Edward James Fowle Garnet Man on 10 September 1902, at Christ Church, St Leonards-on-the-Sea, Sussex. Beatrice had six siblings: Mary Dowell, John Charles Thurston, Florence, Cecil Harry, Ethel Harriet, and Eva Maria. As we find more Crofts family material we will be adding it to this page. For now we are showing a few individual members, and some tentative genealogies. Visitors to this site who may wish to view more detailed genealogical information can find such data in: ‘Pedigree of Crofts of Saxham Parish etc…’ which can be accessed HERE. Also, the book ‘Little Saxham Parish Registries’ has a great deal of detail on the early Crofts and this can be accessed HERE as well as the West Stow parish registers. A majour source of Crofts family genealogy is the following document which can be accessed HERE. It does however contain a fatal genealogical flaw….. a missing page. 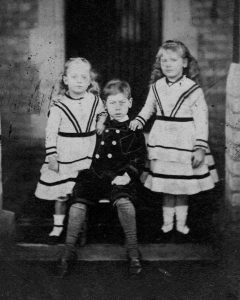 Below, three of Angela (Crofts) Man’s siblings: Ethel, Eva, and Cecil taken about 1872 and given to Felicity (Man) Durnford by her uncle Cecil in 1942. 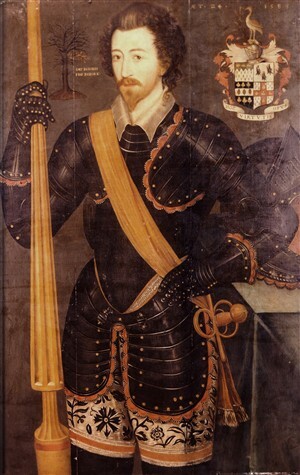 Sir John Crofts, of Saxham Parva, son and heir, aged 29 at the death of his mother (Elizabeth Hervey) in 1519. He built the Gate Tower at West Stow Hall, which is still standing. He married in 1517, Rose, daughter and heir of Sir George or John Sampson of Kersey, widow of John Bledlowe of London. He was knighted at the coronation of Queen Mary in 1553. John Crofts died in January 1558 and was buried at West Stow. John and Rose (Sampson) Crofts had two sons: Edmund, who married Elizabeth Kytson/Kitson, and Thomas who married Margaret Coppledike. From these two Crofts two main branches can be distinguished, Edmund’s of Saxham Parva and Thomas’s of Bardwell, both in Suffolk. Beatrice (Crofts) Man is descended from the Saxham Parva branch. To help distinguish between these two branches we will place [Saxham] or [Bardwell] at various points in the descriptions below. 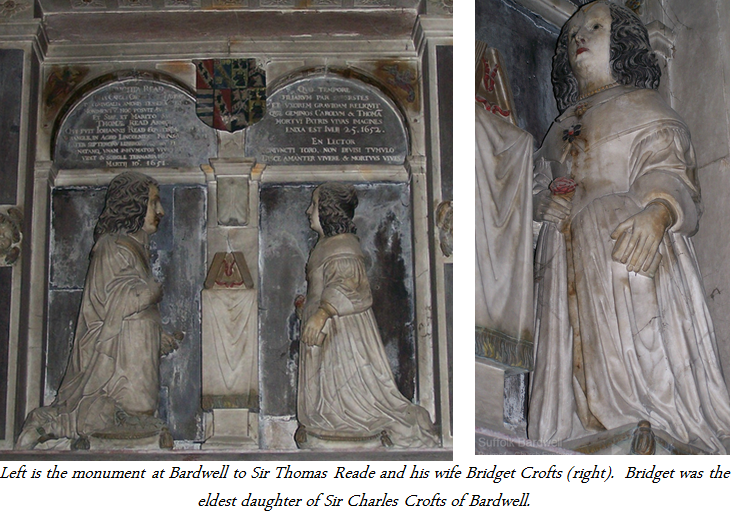 THOMAS CROFTS [Bardwell] was the son of John and Rose (Sampson) Crofts. He married Margaret daughter of Sir John Coppledike / Copuldicke of Lincolnshire. She died on 1 June, 1560, and was buried at Bardwell. He died on 17 November 1595, and was buried at Bardwell, aged 80. (1) Sir Charles Crofts, of Bardwell in Suffolk and Norwold in Norfolk was born on 11 March, 1575. He was knighted in 1615. He married firstly, Cecily/Cecilia, daughter of Richard Poley of Badley, and secondly Jane, daughter of Sir Rowland Lytton of Knebworth. She was buried there on 28 April, 1672, aged 70. He died in 1660, aged 85, having had issue. a. BRIDGET CROFTS, married at Bardwell on 22 November 1642, Thomas Read, of Wrangle, Co. Lincoln. 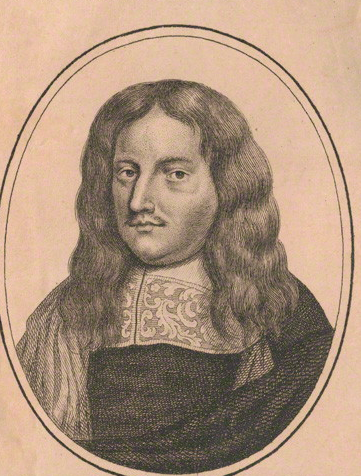 The Reades had a son, Sir Charles Crofts Read of Bardwell, born 25 July 1652, knighted at Whitehall on 26 September 1674, and died on 17 October 1690, and was buried at Bardwell. He married Mary daughter of Sir Thomas Hewyt/Hewitt of Pishobury, sister and co-heir of George Viscount Hewet, of Gowran, Ireland. 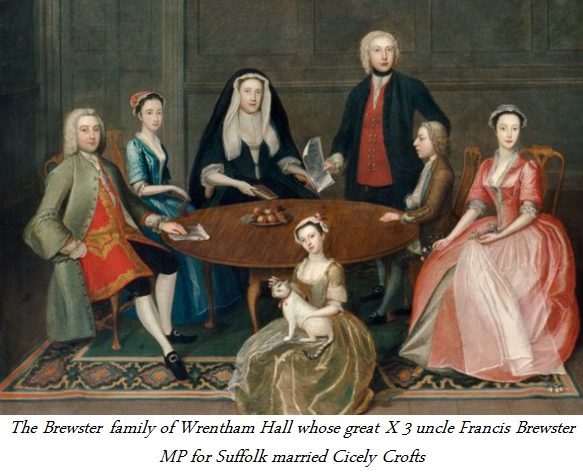 They had issue: Charles Crofts Reade, Thomas Crofts Reade, Anne Crofts Reade married Thomas Wroth of Cotton, Suffolk. 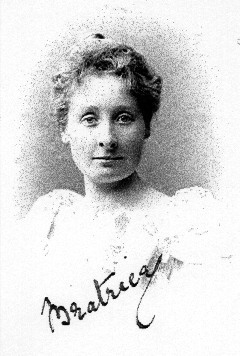 CECILY CROFTS was the daughter of Charles Crofts and Cecily Poley. She was born at Bardwell, and baptised on 21 July, 1618. 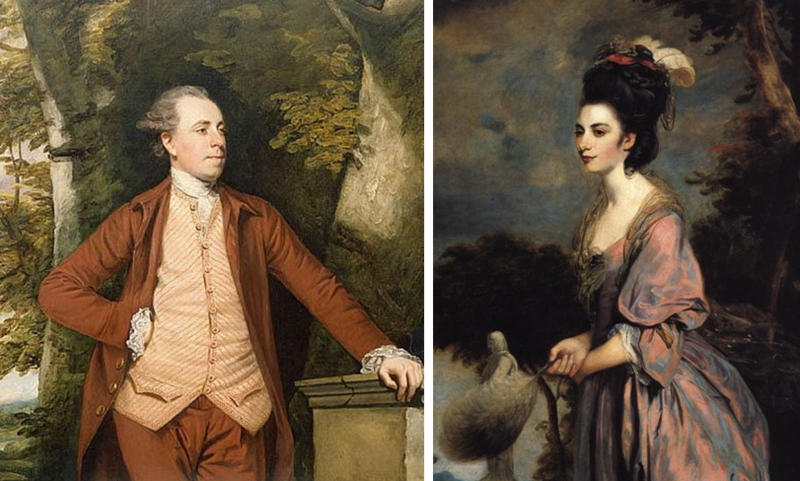 She married Francis Brewster, of Wrentham Hall and M.P. for Suffolk. (See Brewster of Wrentham in Burke’s ‘Landed Gentry’). 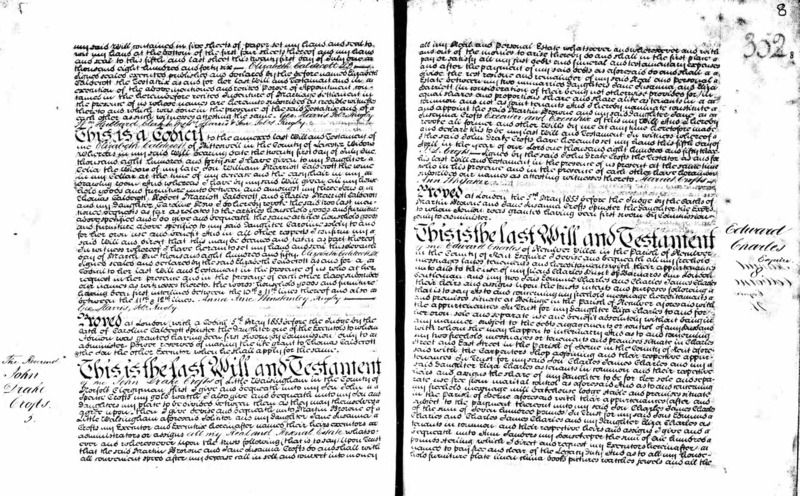 ELIZABETH CROFTS married Robert Drury of Rougham in Suffolk. EDMUND CROFTS was the son and heir of Sir John Crofts who married Rose Sampson. He married Elizabeth, daughter of Sir Thomas Kytson, of Hengrave Hall, Suffolk. He died 14 February 1557, aged 37. After the death of Elizabeth Kitson, Edmund Crofts married secondly Eleanor Burgh, the daughter of Thomas Burgh,1st Lord Burgh and Agnes Tyrwhitt. Eleanor (Burgh) Crofts’s brother Sir Edward Burgh married Catherine Parr, Queen of England (he being her first husband). Edmund Crofts died on 14 February 1557, aged 37, and was buried at West Stow. 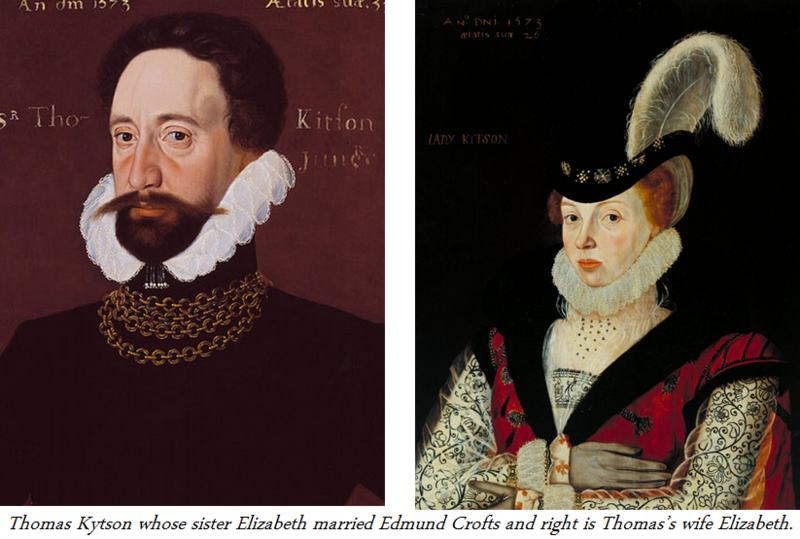 THOMAS CROFTS was the son of Edmund and Elizabeth Kitson. He married Susan, daughter of John Poley of Badley in Suffolk. She died in September 1604 and was buried at Saxham on the 14th of that month. Thomas died on 13 April 1612, aged 75 and was buried at Weststow. 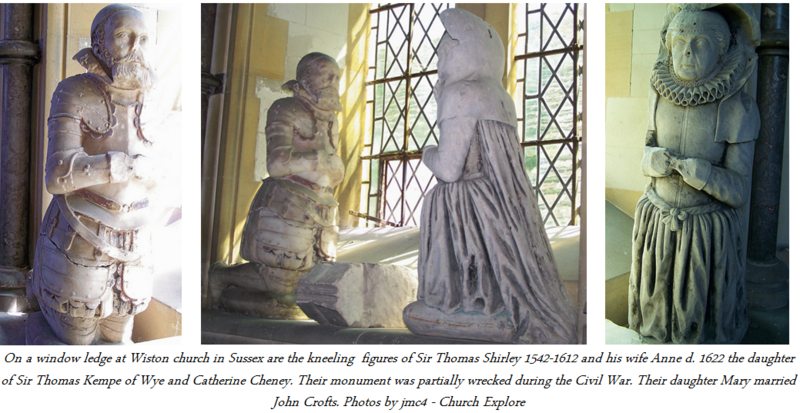 They had twelve children among whom was JOHN CROFTS who married Mary daughter of Sir Thomas Shirley (1542-1612) and Anne Kempe of Wiston in Sussex. HENRY CROFTS was the son of Sir John Crofts and Mary Shirley. He was born in June 1590. He was knighted at Whitehall in 1611. 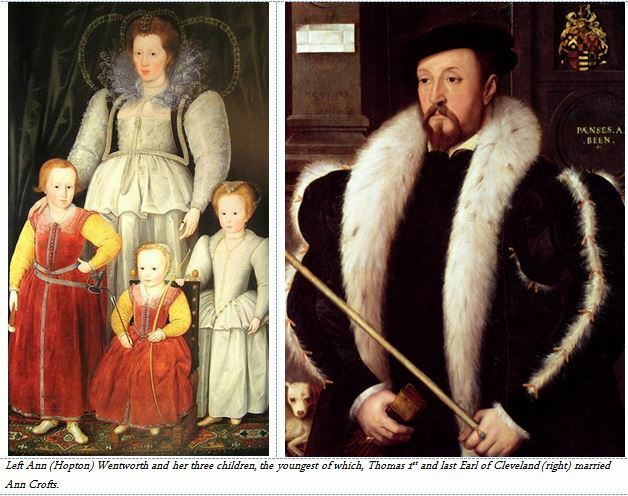 He married on 1 November 1610 firstly Elizabeth, daughter of Sir Richard Wortley of York. She died in October 1642 and was buried on the 10th of that month at Saxham. He was an MP. 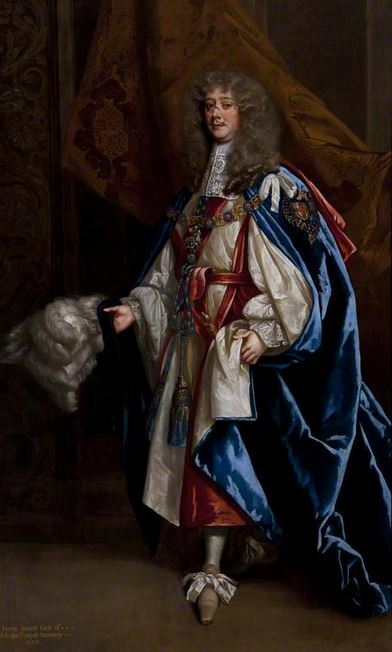 WILLIAM CROFTS, Lord Crofts, Baron of Saxham, one of the Gentlemen of the Bedchamber to Charles II was the son of Henry Crofts and Elizabeth Wortley. He was born about 1611 and he married firstly Lady Dorothy Hele, the daughter of Sir John Hobart. Dorothy was the widow of Sir John Hele who was of Clifton Maybank, Dorset. Dorothy Hobart was the granddaughter of Sir Henry Hobart and Dorothy’s mother was Phillipa Sydney, the daughter of Robert Sydney, 1st Earl of Leicester. 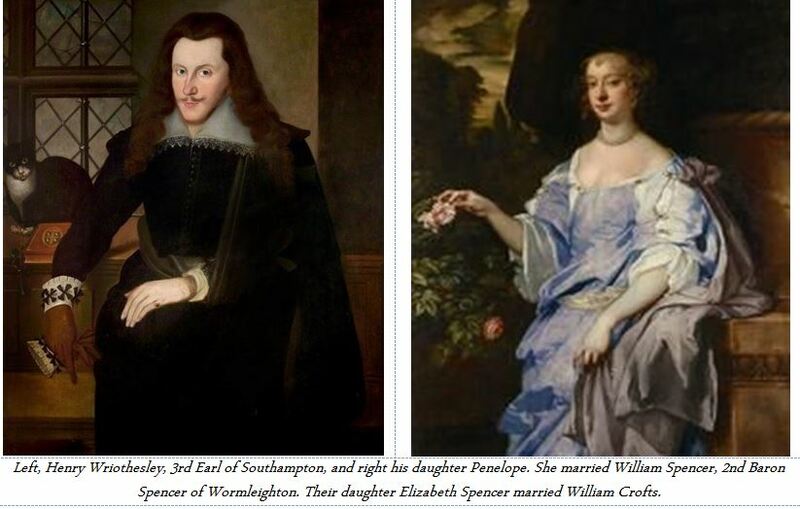 Dorothy (Hobart) Crofts died (no issue) and William Crofts next married Elizabeth Spencer the daughter of William Lord Spencer, of Wormleighton. Elizabeth died on 11 August 1672, without issue, and was buried at Saxham on 18th same month. William Crofts died on 11 September 1677, without issue and was buried at Saxham on the 13th of the same month. 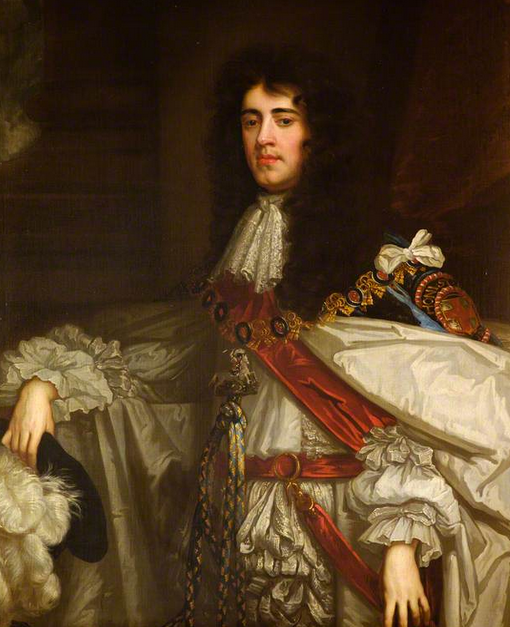 A portrait of him by Sir Peter Lely is in the collection of Earl Spencer. William was the guardian of James Duke of Monmouth whom he adopted as his ‘nephew’. James took the name Crofts as did all his children. For more on the role William played in the lives of the Stuarts see forthcoming section at the end of this page. CHARLES CROFTS was the son of Henry Crofts and Elizabeth Wortley and thus the brother of the above William who adopted James Duke of Monmouth. Charles, like his brother, was a member of the Stuart court in exile and on one occasion teased the Queen’s dwarf Jeffrey Hudson who did not take kindly to Crofts jests and challenged him to a duel. Unfortunately Jeffrey shot and killed Charles. ELIZABETH CROFTS was the daughter of Henry Crofts and Elizabeth Wortley. She married Frederick Cornwallis, 1st Baron. He was an MP and Privy Counselor. His mother’s correspondence was published in 1842 and can be read here. DOROTHY CROFTS was the daughter of Sir John Crofts and Mary Shirley. 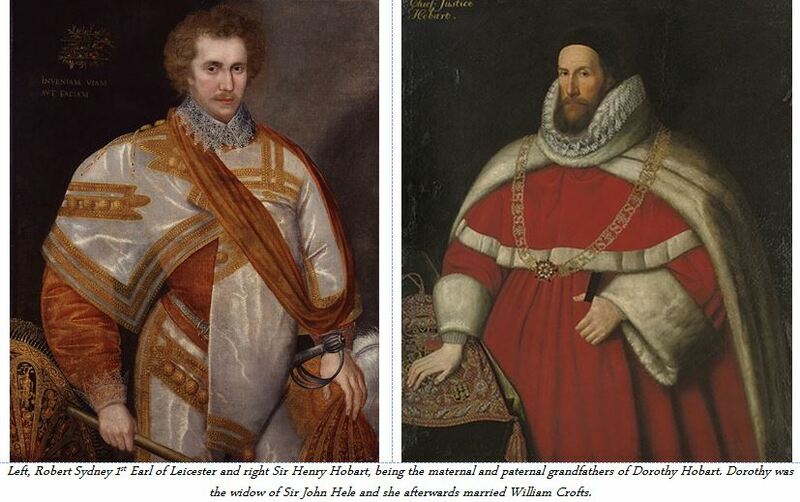 She married Henry Bennet, first earl of Arlington, on 26 June 1615 at Peter le Poer, London. He was baptized at Little Saxham, Suffolk, on 6 September 1618, the second son of Sir John Bennet (1589–1658), landowner. CECILY /CECILIA CROFTS was the daughter of John Crofts and Mary Shirley. She married Thomas Killgrew / Killigrew, a Gentleman of the Bed-Chamber of Charles II. 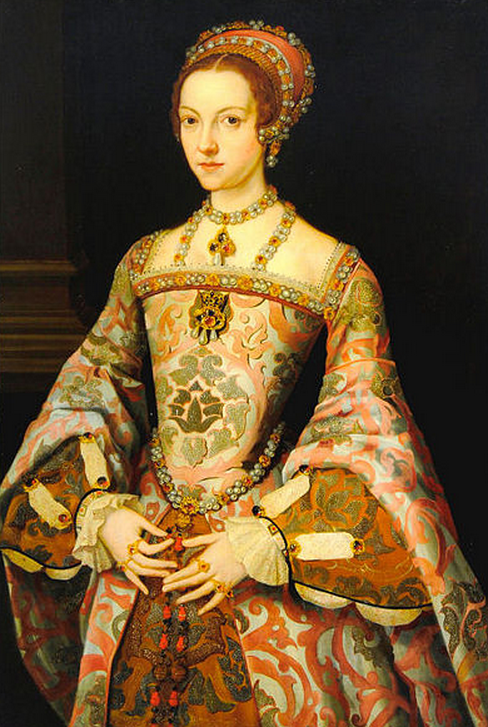 She died on 1 January 1637/38 and was buried in Westminster Abbey on 5 January. 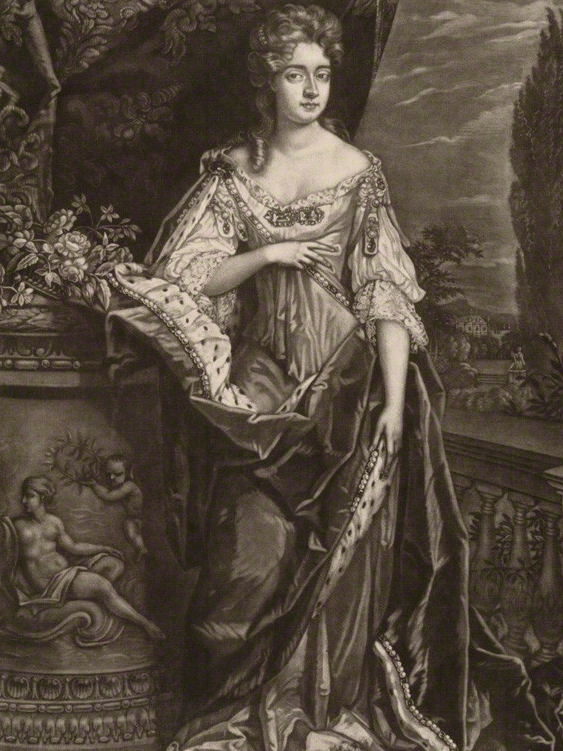 There is a portrait of her by Van Dyke, at Weston Park, Shiffnal, below is a print copy. ANNE CROFTS was the daughter of Sir John Crofts and Mary Shirley. She married Thomas Wentworth of Nettlestead, 1st Earl of Cleveland. There exists a portrait of her by Van Dyke. Their eldest son, Thomas, Lord Wentworth, fifth Baron Wentworth (bap. 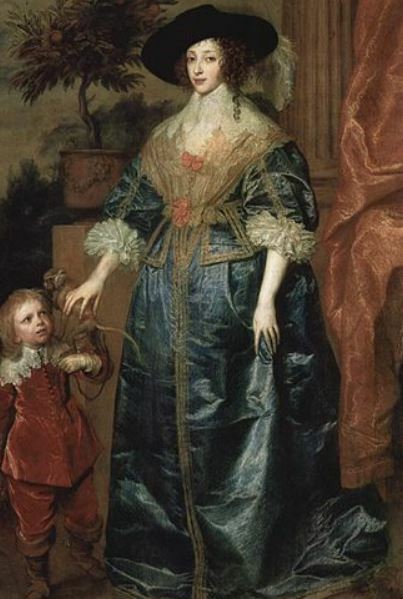 1613, d. 1665), left an only child, Henrietta Maria, the beloved of the Duke of Monmouth, she died of a broken heart, a few months after his execution. RICHARD CROFTS was the son of William Crofts and Mary Decker. He married Harriett, daughter of John Darell, of York Street, St. James’s Square, London. He died on 4 August 1783, and is buried at West Herling. She died in 1828. They had issue an only child, and sole heir, Harriett Crofts, who married in August 1793, Sir John Sebright, 5th Bart., of Besford, Worcestershire. The descent of William Crofts who married Mary Decker is as follows: William’s father was Anthony who married Elizabeth Gipps. Anthony’s father was William who married Anne Alington. 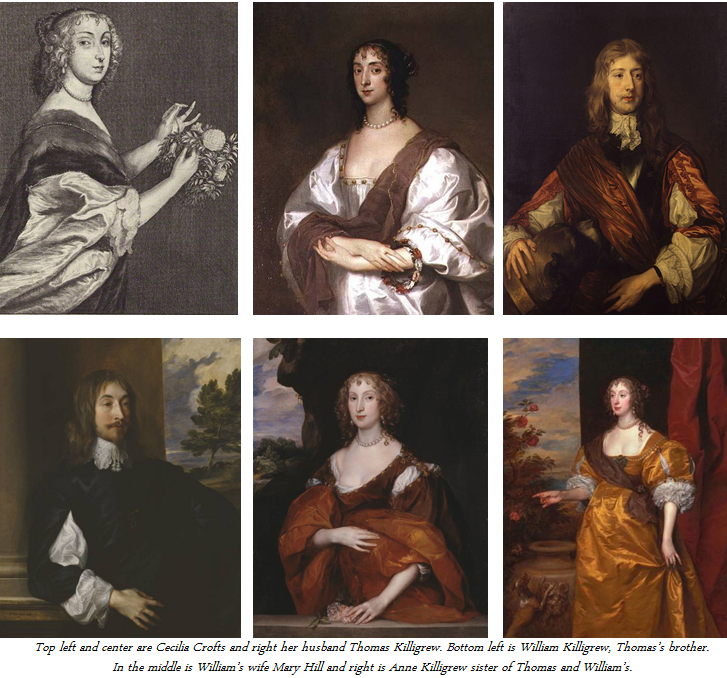 William’s father was Anthony who married Mary Franklin and his father was John Crofts who married Mary Shirley. The Descent of Beatrice Crofts. Sir John Croftes was born circa 1490. He was the son of John Croftes and Elizabeth Hervey. He married Rose Sampson, daughter of Sir John Sampson, in 1517. He died on 28 January 1557/58. He was member of the Household of Mary Tudor. 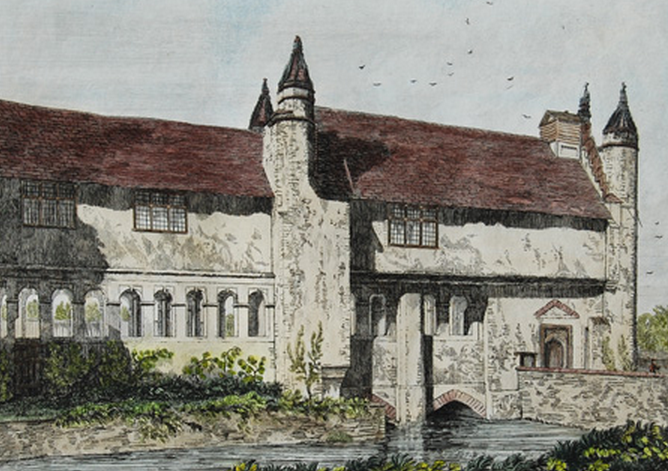 He built the Gate House of West Stow Hall. He was invested as a Knight on 2 October 1553. He lived at West Stow and Saxham Parva in Suffolk. Thomas Croftes was born on 12 June 1540. He was the son of Edmund Croftes and Elizabeth Kytson. He married Susan Poley, daughter of Sir John Poley and Anne Wentworth. He died on 3 April 1612 at age 71. He held the office of Sheriff of Suffolk in 1595. He lived at West Stow and at Saxham Parva, Suffolk. Francis Croftes was born on 30 March 1567. He was the son of the above Thomas Croftes and Susan Poley. He married Margaret Rampley, daughter of Reynold Rampley, on 27 February 1594. He died circa November 1638. He was buried on 13 November 1638. Margaret died in April 1642 and was buried on the 25th of that month at West Stow, Suffolk. Francis gained the rank of Captain in the Army. In 1597 and he was sent to Ireland. He lived at Lackford, Suffolk. 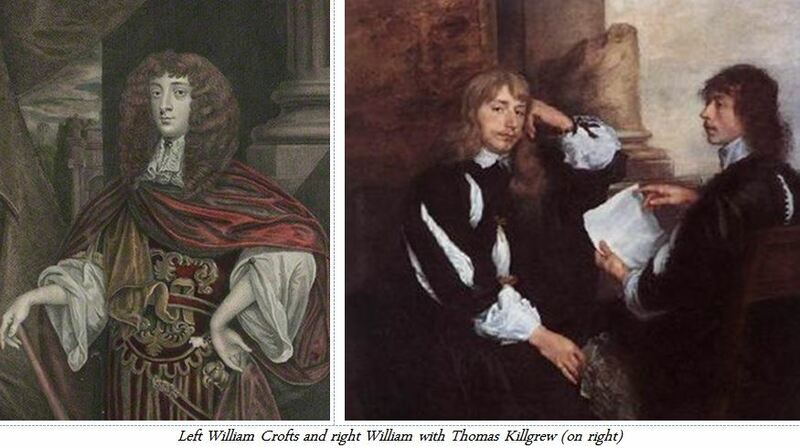 William Crofts was the son of the above Francis and Margaret (Rampley) Croftes. He was baptised on 21 December 1606. He died circa February 1663. He was buried on 8 February 1663. His wife is not known. 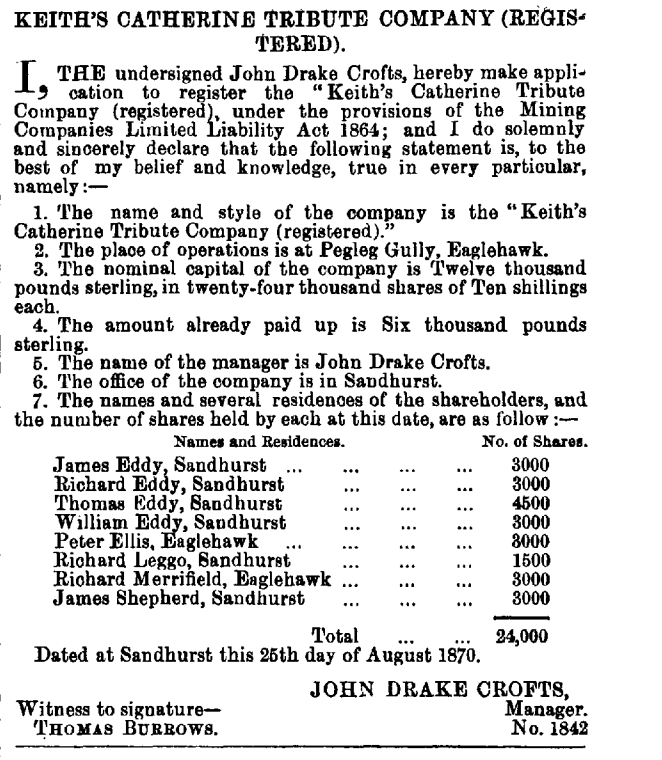 Richard Crofts was the son of the above William Crofts and unknown wife. He married Anne (?). He died circa February 1706. He was buried on 26 February 1706. Benjamin Crofts was the son of the above John and Anne Unknown. He was baptised at Bolton Abbey on 6th January, 1719. He obtained a B.A. in 1740 from Trinity College, Cambridge. He was rector of Whissonsett and of Gressenhall near Fakenham in Norfolk. He married Elizabeth Leach, daughter of the Vicar of East Dereham in Norfolk, from 1716 to 1741. B. John Crofts, baptised at Gressenhall on 10 December 1747. He was educated at Caius College, Cambridge, 1766, 4th Wrangler, Fellow 1775. He was appointed Rector of Whissonsett, Norfolk. John married Susan Oxenborough, daughter of Edward Oxenborough of Wells-by-Sea, Norfolk (who was b. 1736, d. 1821) (sometimes Oxborough or Oxbrow). (1a.) 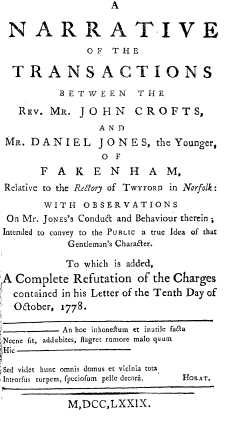 John Drake Crofts was baptised on 15 December 1791 at Fakenham. B.A. Trinity College, Cambridge, 1814, Vicar of Houghton, Norfolk. He married Jane Rump in 1817. He appears along with his family on the 1841 census at Little Walsingham, in Norfolk as follows: John Drake Crofts (45) [Clergyman], Jane Crofts (45), Jane Susan Crofts (20), Emmily Crofts (15), John Spence Crofts (15) and Eliza Crofts (10). There then follows a list of ten boys aged about 15 who are shown as ‘Pupils’. 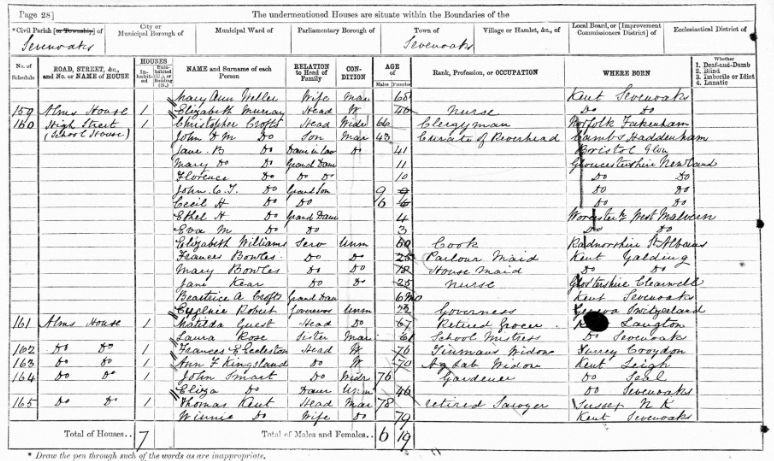 John also appears on the 1851 census. His wife Jane is no longer listed and she does not appear in his will so presumably she died after 1841. On the 1851 census the Crofts family is living at 22 Hight Street, Little Walsingham, Norfolk and consists of John Drake Crofts (59) [Vicar of Houghton St. Giles], Jane Crofts (daughter) (32), John Spence Crofts (25), Eliza [Harriet] daughter and one pupil. 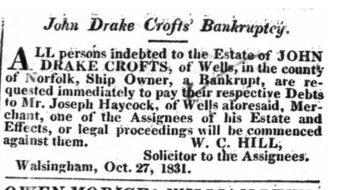 Emily Crofts (the second daughter of John Drake and Jane (Rump) Crofts) was born 8 January and baptised at Wells on 15 January 1821. She married at Walsingham in Norfolk on 10 January 1850 the Reverend John Mayow Lukin. He was born on 16 December 1820, and was baptised at Nursling on 28 January 1821. 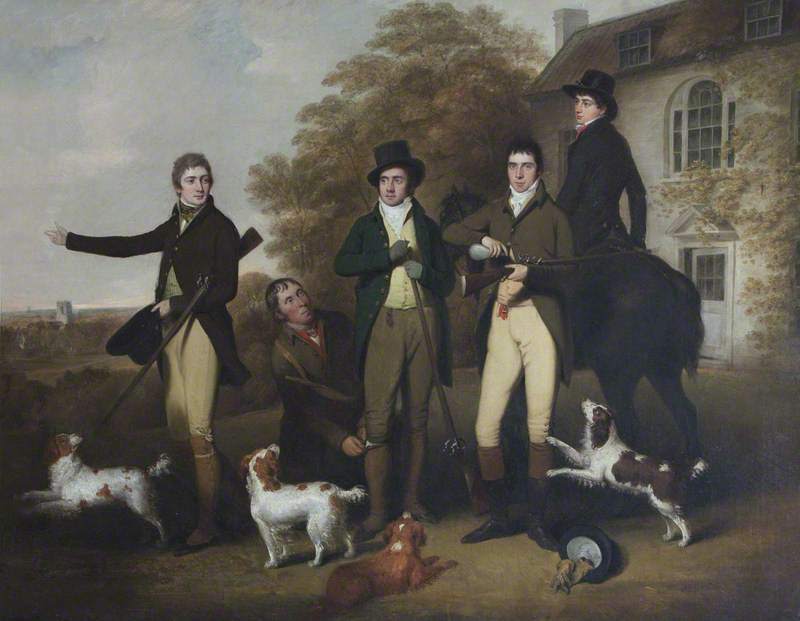 He was the son of the Reverend John Lukin who is pictured below with his brothers at Fellbrigg Hall. John was educated at Eton and Peterhouse, Cambridge, B.A. and 1845 M.A. 1850. He was the Domestic Chaplain to Viscount Torrington, Governor of Ceylon, and afterwards Rector and Patron of Guestling, co. Sussex. He died at Guestling Rectory, aged 41 on 14 June, and was buried at Guestling on 21 June 1862. 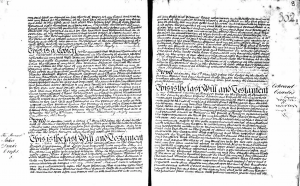 His will is dated 11 July 1856, and was proved at Lewes on 2 August 1862, by Emily Lukin of Guestling, the relict, and Hugh Robert Rump of Wells, co. Norfolk, two of the Executors. John and Emily (Crofts) Lukin had two children: 1. Catharine Emily, born at Southampton ON 5 July and baptised at Stoneham, near Southampton, on 6 August 1854. 2. George Frederick Byng Lukin, who was born at Guestling on 7 July and baptised there on 2 August 1857. 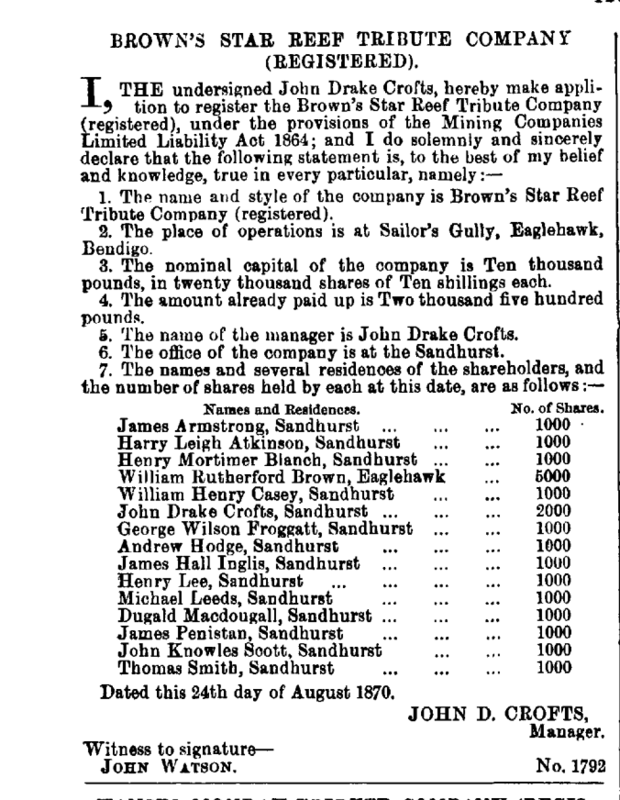 John Spence Crofts, the son of John Drake and Jane (Rump) Crofts’, appears to have emigrated to Australia. On the Australian death index it shows that he was born in 1827 and died at Sandhurst, Victoria, Australia in 1881. His father is given as John Drake Crofts and mother as Jane Rump. (1b.) Edward Oxenborough Crofts, was baptised on 14 February 1793 at Fakenham. 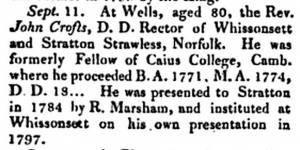 He died in October 1800 and was buried on the 22nd of that month at Whissonsett, Norfolk. (1c.) George Crofts, bap. at Fakenham, 1794, an officer in Norfolk Militia, m. Louisa Gosling. He died in 1868. 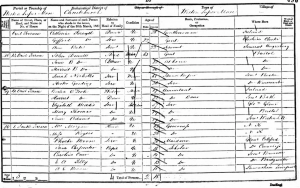 George Crofts and family have been found on the 1841 census at Wells-next-the-Sea, Norfolk. The entry consists of: George (46), [merchant], Louisa (41), George (22), Henry (20), Louisa (15), Susanna (14), Edward (12), Caroline (11), Benjamin (6) and one servant. 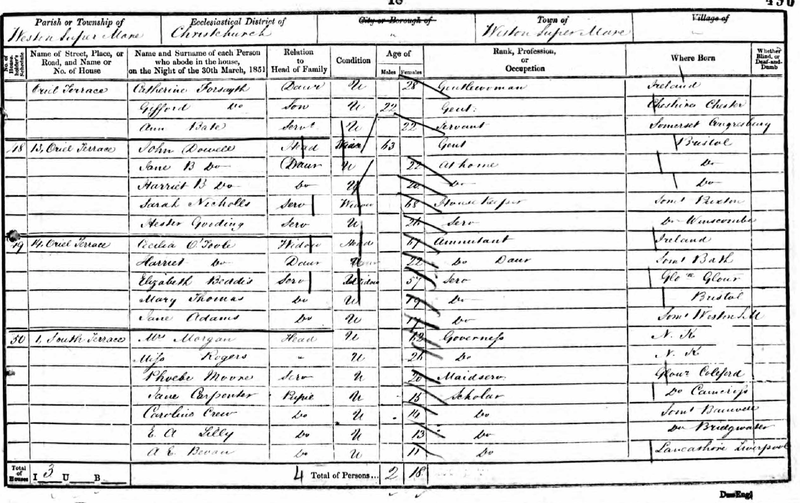 A third son John Drake Crofts (named after George’s brother) and born in 1822 but does not appear on the 1841 census with the rest of the family. 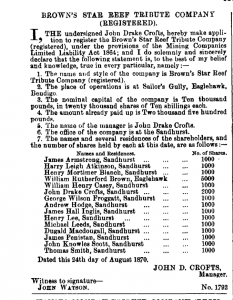 George is also listed on the Bankruptcy Directory for 1831. 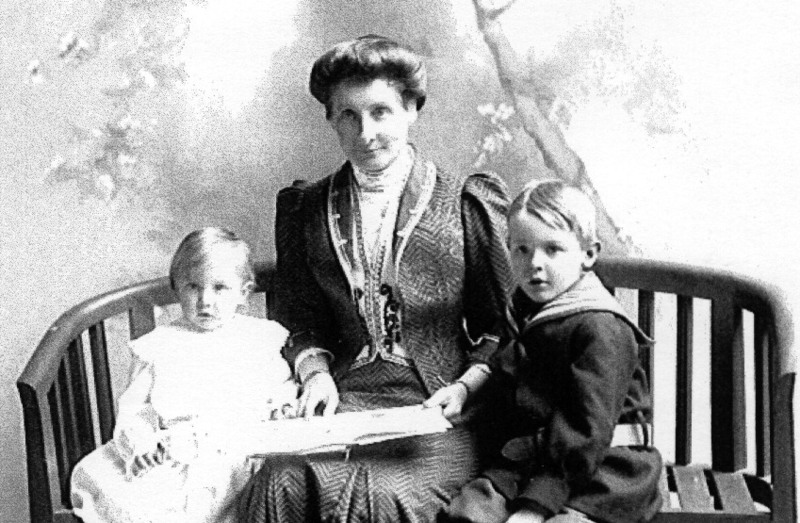 Three of George and Louisa (Gosling) Crofts sons emigrated to Australia – Benjamin Oxenborough Crofts, Edward Oxenborough Crofts, and John Drake Crofts. The following Australian newspaper clippings attest to their existence. (Id.) Christopher Crofts, bap. 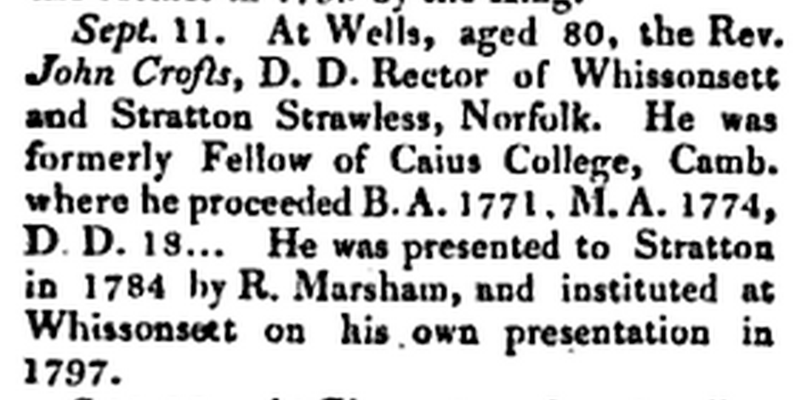 at Fakenham, Norfolk, 4 Nov., 1804, B.A. Oxon., 1838. Chaplain to Earl de la Warr. Head Master Queen Elizabeth’s School, Sevenoaks, Kent. He married Maria Savage. He was educated at Magdalene Hall and Hertford College Oxford, B.A. 1838, M.A. 1874; he was ordained deacon and priest 1828; head master of Collegiate school Camberwell 1846-54 and of Sevenoaks grammar school 1854-79; chaplain to Earl Delawarr 1873 to death. 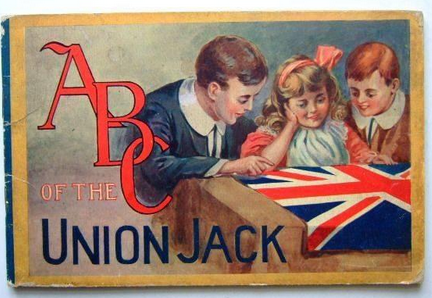 He died at Edinburgh on 9 July 1894.
aa. John David MacBride Crofts, born in 1827 at Haddenham, Cambridgeshire. MA. 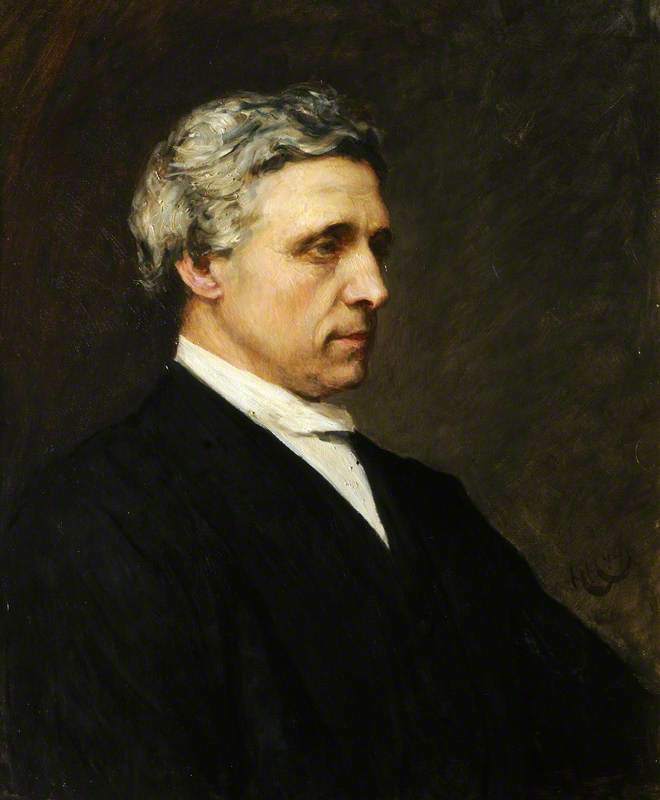 Worcester College, Oxford, Rector of Bradfield Combust, near Bury St. Edmunds, Suffolk, and vicar of Mountfield, Sussex. He married Jane Britton Dowell on 24 June 1858 at Holy Trinity, Brompton. Jane Britton (Dowell) Crofts died on 6 March 1900 at St. Leonards-on-Sea, Sussex. John David MacBride Crofts died on 27 June 1907 at Eastbourne. (aa) John Charles Thurston Crofts, b. 1860 (see his obituary below), m. Ella Catley, and has issue: aaa. Christopher John Crofts, b. 3 August, 1904. bbb. Anthony Brodribb Crofts, b. 4 May, 1906. (cc) Beatrice Angela Crofts, b. 1870. Married Edward James Fowle Garnet Man. 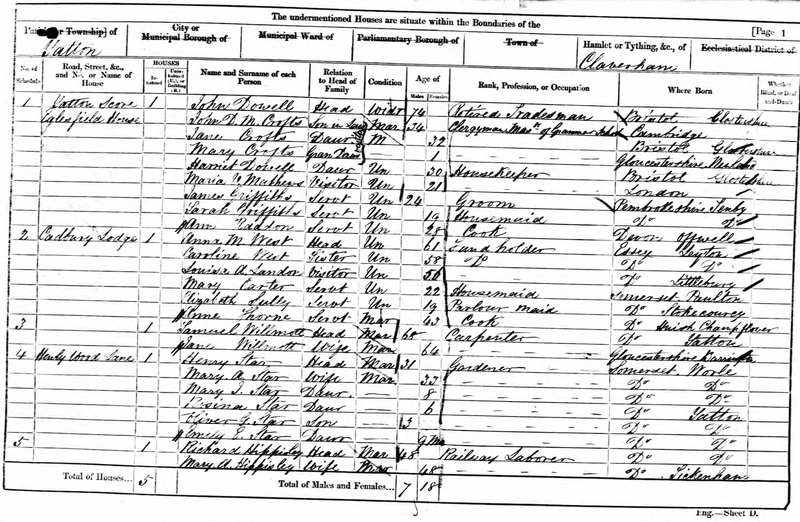 The 1851 census: the Dowell family showing Jane Britton Dowell, her father John, a widower, and her sister Harriet Britton Dowell. For more on the Dowell family see the Ridout family web site HERE. 1. John Charles Thurston Crofts, b. 1860 (see his obituary below). He married Ella Catley, and had issue: i) Christopher John Crofts, b. 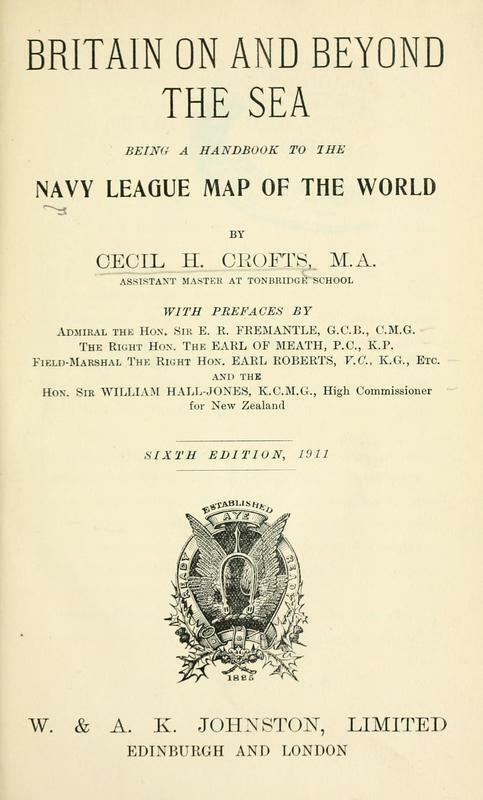 3 August, 1904. and ii) Anthony Brodribb Crofts, b. 4 May, 1906. 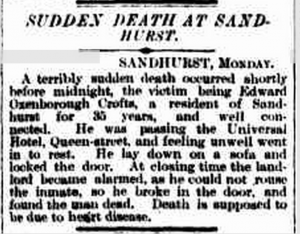 His death notice in The Times on 18 October 1950 is below. From it we gather he died on 15 October at a nursing home in Hastings and that he was a schoolmaster at Tunbridge. 4. Florence Crofts, b. 19 May, I860; She was married to ‘Willie’ Worship and they lived for a time at 19 Ilchester Mansions, Abingdon Road, Kensington. 6. Eva Maria Crofts, b. 8 January 1868. According to her probate record (below) Ethel Harriet died on 18 January 1902 at St Leonards-on-Sea, Sussex. Her sister Eva Maria died on 29 July 1923 at 65 George Street, Portman Square in London. Mary Dowell Crofts married David Henry Goodsall. David was born on 4 January 1843 at Gravesend in Kent. He died on 14 September 1906 at 17 Devonshire Place, London. Mary Dowell (Crofts) Goodsall died on 2 March 1941at Villa Bernoise, Vaud, Switzerland. 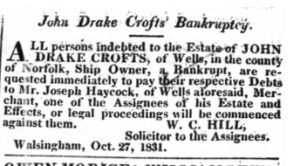 Below is the obituary of Beatrice (Crofts) Man’s brother, John Charles Thurston Crofts (1861-1911), that appeared in a publication of the Institution of the Mechanical Engineers. 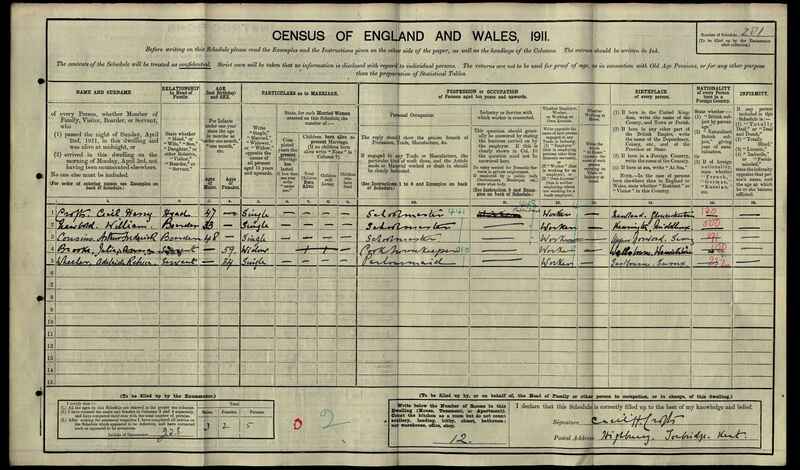 JOHN CHARLES THURSTON CROFTS was born at Newland, Gloucestershire, on 27th September 1862. He was educated at the Technical School at Saarbrucken, Prussia, and at King’s College, London. In 1880 he commenced a three years’ apprenticeship at the works of Messrs. Easton and Anderson, of Erith, which was followed by an appointment in the Beltim Land and Irrigation Co., at Cherbine, Egypt, where he assisted in erecting the pumping installation sent out by Messrs. Easton and Anderson. On the conclusion of his engagement in 1884 he proceeded to India and became assistant engineer Mr. Arthur Butler, engineer and contractor, of Mozufferpore, Tirhoot, Bengal, with whom he entered into partnership, and eventually purchased the business. Owing to ill-health, he sold his share of the business in 1897 and went to Vancouver, B.C., where he entered into partnership with Mr. J. C. Ferguson as consulting and general engineers. In this position he was engaged in various inspecting work connected with boilers, mines, sugar machinery, etc., in the United States, Canada, and the West Indies. 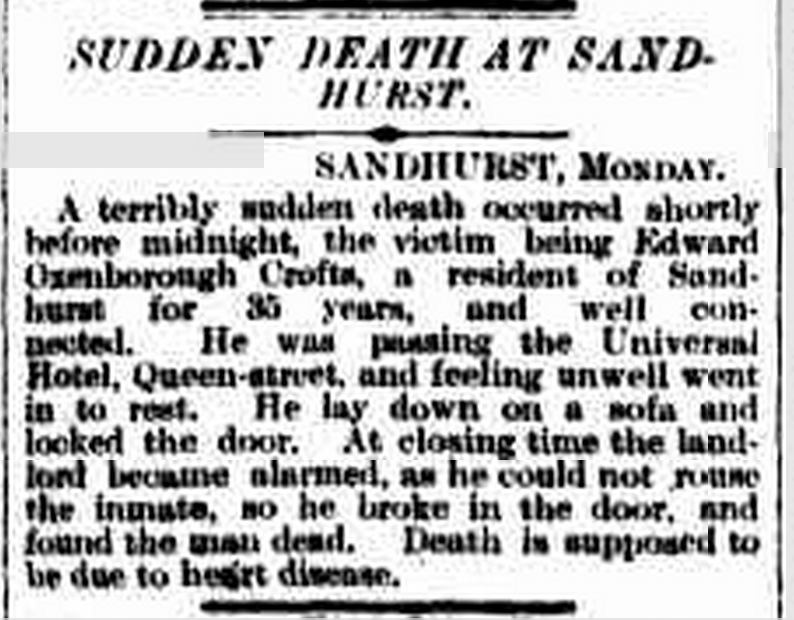 His death took place at Bedford, England, on l August 1911, in his forty-ninth year. July (8) 1865 Left for Oxford. Down to Reading I travelled with a Mr. Crofts, wife, and two little girls. Having accidentally found out that he was an old friend of Henry Kingsley’s, I soon made friends with the party, and before we parted at Reading, had settled that if they came to Oxford, I would photograph Mary, the eldest child. They had been to Oxford to shoot at the Archery Meeting in 1863. [Note: Henry Kingsley (1830-1876) was the brother of the better known Charles Kingsley]. Sunday March 9 1873 Mr. Stopfird Brooke preached in the afternoon. After the sermon I met Mr. and Mrs Crofts (Sevenoaks) and took them back to my room for an hour, and engaged to go and visit them, and perhaps photo their children. [Footnote JDMCBC lived at Newlands Sevenoaks with his wife Jane Britton nee Dowell]. 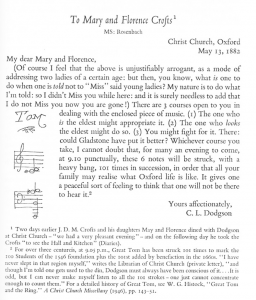 Footnote to letter to both Mary and Florence dated May 13 1882: Two days earlier (i.e. 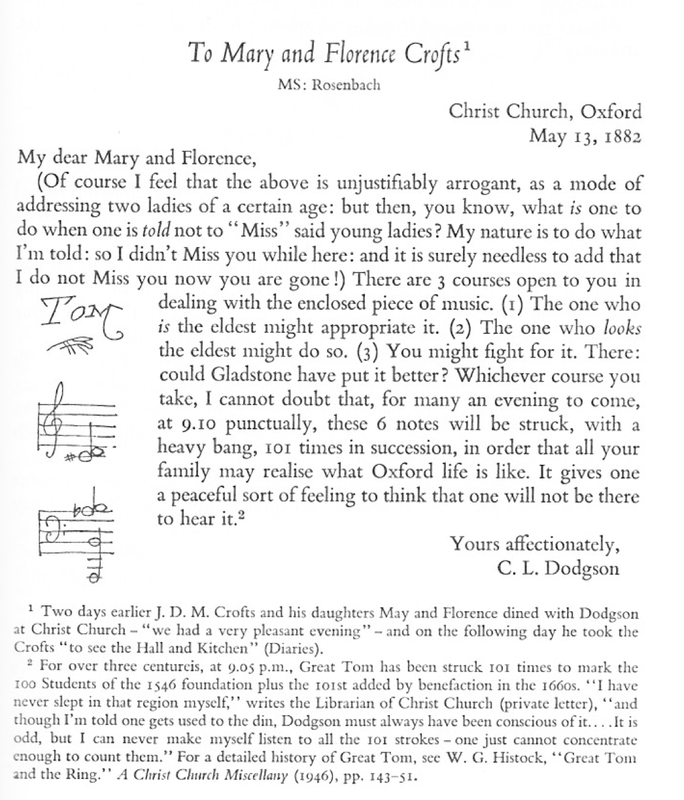 May 11) JDM Crofts and his daughters Mary and Florence dined with Dodgson at Christ Church – “we had a very pleasant evening” – and on the following day he took the Crofts “to see the Hall and Kitchen” (Diaries). Lewis Carroll wrote the following letter to Mary Dowel Crofts, Beatrice (Crofts) Man’s sister. It is dated 12 April 1873 and can be found in Morton Cohen’s The Selected Letters of Lewis Carroll. 1st American. New York: Pantheon, 1982. p. 53. The reference to Ethel is to Mary Crofts’ younger sister. Please thank whoever it was that sent me my boots – and the pen, which I forgot to ask for in my telegram. I will now explain to you how it was I came to leave the boots behind. You see, Ethel came to help me to pack. She is a very useful little body (though, by the bye, she is most useful when she does nothing – because, when she does anything, it is generally mischief) and I was very glad to have her help, though it lost me my time, my temper, and my boots. In the first place, there was the confusion of having another person in the room: for instance, I said, “Oh dear! I must shave before I go: my beard is nearly down to my feet!” and I made a gallon or so of lather ready, and got out two or three razors – but then, as it happened, we were both running about the room in such a hurry to get things packed, that I couldn’t remember which was which – so, by mistake, I shaved her instead. I daresay you remarked how beautifully smooth her chin was when she came down to dinner? However, that’s not nearly the worst. The worst is now to come, and explains how the boots got left behind. I said, “Now, Ethel, there really isn’t a moment to lose! We must get things packed! Remember, all the large things are to go into the portmanteau, and all the small things into the carpet-bag. Now go to work!” Then we began running round and round the room like mad things. The first thing Ethel did was to put the bed in the portmanteau. That was a natural mistake, but I told her it must be taken out again, because there are beds enough in the house here – and besides, it didn’t belong to me. Then somehow, as we were running, I took her up, among other small things, and popped her in to the bag, and just at the same moment she took me up (as she saw I was a large thing, and didn’t notice in her hurry that I was alive) and crammed me into the portmanteau. It was very unfortunate, because we were a long time in getting out again, and that made me quite forget the boots. Now you understand how it was. 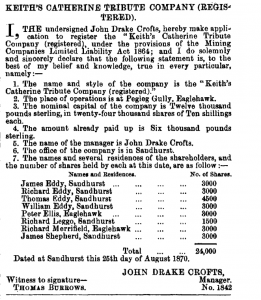 John Crofts, born in 1811 and was J.P. for Leeds. He married Ellen Wordsworth, daughter of Joshua Wordsworth, of Falthwaite in Yorkshire. Westmoreland. The said Joshua was cousin once removed to the poet Wordsworth; although Joshua was not a first cousin and precisely what sort of a cousin (2nd, 3rd, 4th, etc.) needs researching. Ellen died at Dusseldorf in 1867 and was buried in the choir of Bolton Abbey. John Crofts died in 1888, at Leamington and also buried in the choir of Bolton Abbey. bb. Henry Sidgwick, Professor Cambridge University, m. Eleanor M. Balfour, sister of Rt. Hon. A. J. Balfour (Ex-Premier). cc. Arthur Sidgwick, Reader in Greek, Oxford University. aa. Mary Sidgwick, married her cousin Dr. E. W. Benson, late Archbishop of Canterbury. 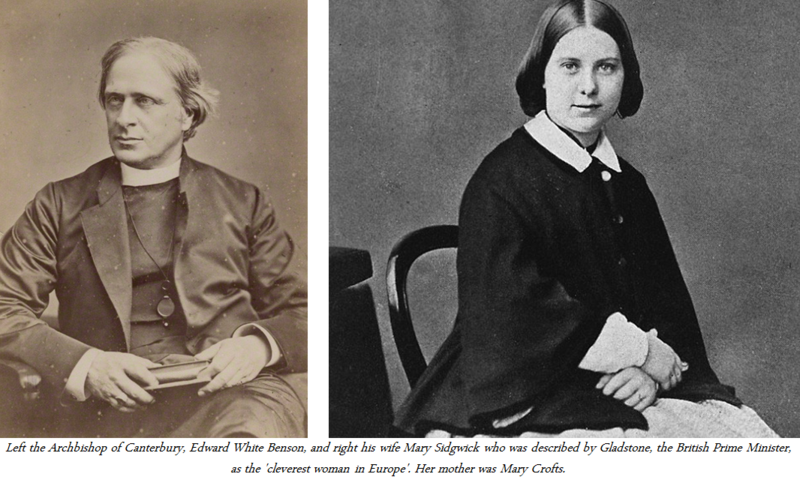 Mary Sidgwick and Edward White Benson had six children. Their fifth child was the novelist E. F. Benson, best remembered for his Mapp and Lucia novels. Another son was A. C. Benson, the author of the lyrics to Elgar’s “Land of Hope and Glory” and master of Magdalene College, Cambridge. Their sixth and youngest child, Robert Hugh Benson, became a minister of the Church of England before converting to Roman Catholicism and writing many popular novels. Their daughter, Margaret Benson, was an artist, author, and amateur Egyptologist. None of the children married; and some appeared to have suffered from mental illnesses, possibly bipolar disorder. 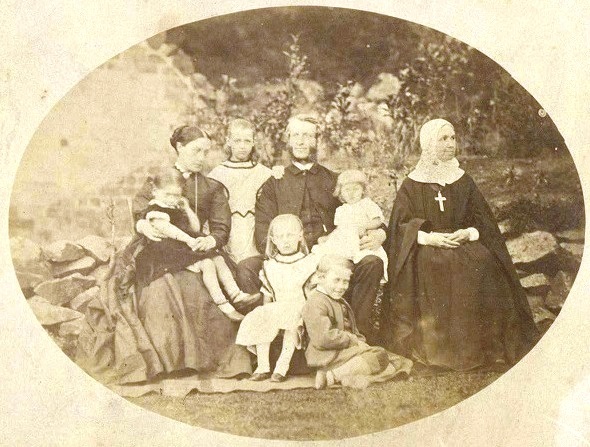 After the archbishop’s death, his widow set up household with Lucy Tait, daughter of the previous Archbishop of Canterbury, Archibald Campbell Tait and a full-length biography of her was published in 2011, casting light on the Bensons’ domestic life. Elizabeth Crofts, sister of Mary Crofts who married William Sidgwick, married Francis Lace. Freeman Wills Crofts, was born at 26 Waterloo Road, Dublin, Ireland. Because his father died before he was born, Freeman was brought up in the home of his step father Jonathan Harding, Vicar of Gilford, County Down, and Archdeacon of Dromore. He attended Methodist College and Campbell College in Belfast. 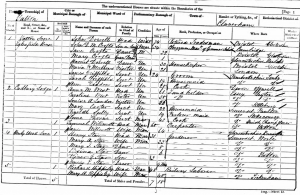 In 1912 he married Mary Bellas Canning, daughter of the manager of a local bank in Coleraine. They had no children. He became an engineer but in 1919, during an absence from work due to a long illness, Crofts wrote his first novel, The Cask (1920), which established him as a new master of detective fiction. Crofts continued to write steadily, producing a book almost every year for thirty years, in addition to a number of short stories and plays. He is best remembered for his favourite detective, Inspector Joseph French, who was introduced in his fifth book, Inspector French’s Greatest Case (1924). 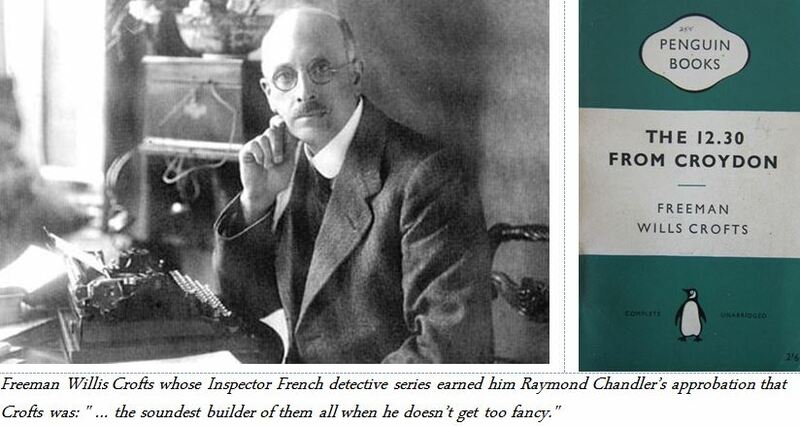 Inspector French always set about unravelling each of the mysteries presented him in a workmanlike, exacting manner – this approach set him apart from most other fictional sleuths.